Sidebar Games, the developer and publisher behind the sports-based RPG Golf Story, is celebrating the game's one year anniversary on Switch by offering an exclusive prize through My Nintendo. Yes, having a quick break from the usual trend of sharing Wii U and 3DS games at discounted prices, the European My Nintendo store has updated with a single - but special - exclusive gift (if you live in another region, you can simply open a European account with a new email address). If you have 50 Platinum Points spare, you can treat yourself to this super snazzy wallpaper for desktop or smartphones. "Golf Story is a surprisingly gripping game, hooking you with fantastic gameplay, loads of content, and a well-written script. This is one that’ll have you coming back for many hours in the story mode alone, and the multiplayer does a good job of expanding on this with even more replayability. 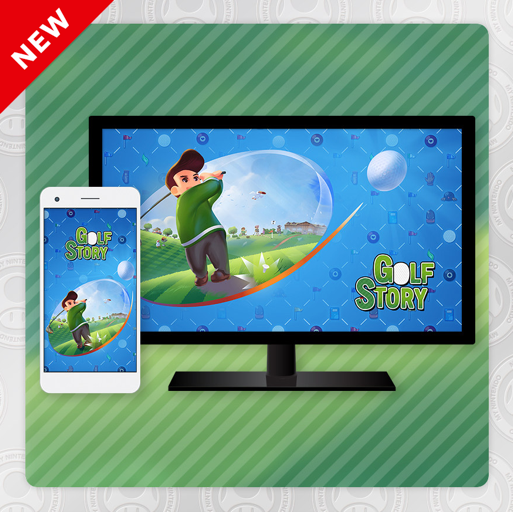 We would highly recommend Golf Story to anyone looking for something a little different. There’s a whole lot to love here, and if you’re a fan of RPGs or golf games, this is a must buy." Are you a fan of Golf Story? Will you be spending some of your points on the wallpaper? You might be interested to know about today's physical edition pre-order launch - more details here. Man, what a great, stupid-fun game. Never knew I would enjoy a game about golf. In more exciting news, they're opening pre-orders for the Limited Run Games print of Golf Story as well as it's Winner's Edition in less than an hour. Limited Run Games are also doing a special playable NES release of GALF. I hope they're working on Golf Story 2 or something similar. I would buy it for the story alone! How is a wallpaper you have to “pay” for a special gift? Well, that's neat. 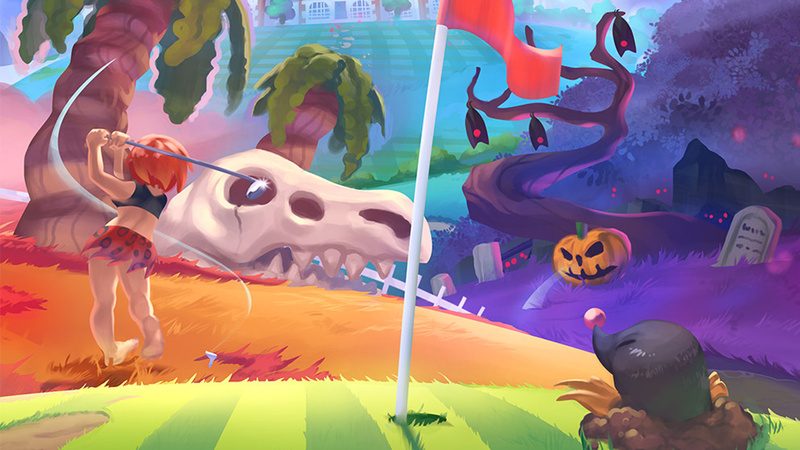 More Golf Story, the better! @RupeeClock Thanks for the heads up! Waiting to preorder now. These rewards are getting better and better. Golf Story 2 would be swell, but they have a lot of other options too. I’m all up for Tennis, Soccer, Basketball, Baseball or Bowling Story. Whatever they decide to do, it’s a day 1 buy for me. You just wanted to make that Hole in One Year joke, didn't you? Here I thought you could actually get the game, or a discount on the game at least. This is definitely a game I have on my radar but I am playing Stardew Valley and I still have Octopath Traveller unopened. Plus a backlog on my WiiU and 3ds. Plus a bunch of older games, not to mention the NES online games. Sometimes my hobby stresses me out. Ah, My Nintendo. The gift that keeps on giving. Remember when Club Nintendo offered physical rewards? Who the heck wanted those anyway? These silly discounts that you have to pay points for are where it's at. ...yeah I don't know why they consider this a gift. It's a wallpaper. You can find thousands of wonderful wallpapers for free all over the internet, many of which are much more interesting than the one on offer here. Case in point, the top picture used in this article is very good for wallpaper purposes. And it's free to grab right there. Go nuts. Don't waste your points. I love Golf Story, but the reward is something I can miss. @justin233 you don’t have to pay for it. You simply have to log into my Nintendo once for the week (30 platinum points just for visiting the site) and then play animal crossing on mobile a bit and come back to my Nintendo for some more free points just for completing quests. You won’t have to spend a penny. @justin233 The gift is given to you by using platinum coins NOT golden coins. Platinum coins = given freely to you. Golden coins = earned from games you purchase. @Cosats @Alto By "pay" I meant with platinum coins. I know they are basically worthless. Since they already beat Mario's handheld golf RPG's, I want to see their take on Tennis RPG next. @justin233 Then, I have failed to understand what your comment was all about. How about celebrating with a little sale, would that hurt you so much? I loved this game like crazy! A desktop wall paper? Pahahahaha I like the game but a desktop wallpaper is a joke. I literally have a folder with my that 8000 images rotating as my background. Riiiiigggghhhhtt. A wallpaper. Nintendo, is this 1993 when 'wallpaper' was cool and you couldn't download a million of them for free? One of the truly outstanding experiences on Switch. Beautiful game. I really wish this game had a post game or some dlc. Just got my 2 GALF NES games(one white, one green) and the CE from LRG. Can't justify ordering another pre-order for a game, I'm not even sure I want, already have 4 with Limited Run, 1 with Signature Edition and 1 with SuperRare Games. But Fear of Missing out, especially for a physical game is very painful to me. Great game, I still need to finish it though. I think Steam World side tracked me last year. Other than that, I will probably double dip and order a physical copy of the game as I think it's worthy of that. For the time being, that appears to be the last Switch game announced for Limited Run Games. I wonder what they or competitors like Signature Edition, SuperRare Games, and Play-asia's PLAY Label will have in store next? I'm hoping for stuff like Iconoclasts, Freedom Planet, some others I can't think of right now. Contemplating Dead Cells from Signature Edition, and interested in Death Road to Canada, that's one Play-Asia are doing. @justin233 I was going to post what you posted, then saw you had already so wasn't going to bother, but then saw 2 comments disagreed with you, so I'm posting anyway. "offering an exclusive prize" <> "spending some of your points on the wallpaper"
If they wanted it to be a gift, just tweet the pic, then we can copy if. Or offer it for zero platinum coins. I don't get some people. Though the wording, and impression, from the article does leave a lot to be desired, as usual. If they just would have put the word "Wallpaper" instead of "Gift" in the tile none of these comments would be here. @rjejr I guess that was my point - why didn’t the devs themselves just tweet it out or something if it is supposed to be a gift? @justin233 The devs got a lot more exposure through social media channels and news outlets doing the legwork for them as a result, it's a smart move. It also happened to be at the same time that Limited Run Game pre-orders opened, it seems very deliberate. 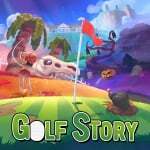 When do LRG start shipping Golf Story? Never mind. I just checked their website and says November. The best part about the wallpaper is that you don't have to listen to that horrible MIDI trumpet music when you look at it. Just ordered the retail copy from LR!! Winners editions are surprisingly still available right now . Can't believe I got the Golf Ball white Galf in time!!!! @justin233 ah... I see what you mean! The editions with extra stuff in them courtesy of Fangamer are expected to ship later than the standalone game. Said editions are also supposed to be available from Fangamer in I think January with 1000 pieces. Ah, thought it might be something good. Enjoyed the game, bit easy and got a touch long in the tooth towards the end, but good fun. Makes a change from the usual golf fodder on consoles. Just ordered a physical copy at LRG 2 hours ago! Really great game, one of my favorite indie games ever. Everyone should play this game. Seriously guys. When you start complaining about something that is being given to you for fake silver currency that you get for visting Nintendo's website or logging into the eshop, it's time to push the keyboard away and go do something else. Too many good things in life to spend even one second criticizing a FREE wall paper give away. Pretty sure this game came out around launch for the switch, right? Must be a year and a half by now. Anyway, what a great and surprising game. These developers proved themselves with Golf Story; I'll be looking forward to whatever they do next. Still one of the best games on the switch. I loved the humor. @Yasume I'd love a REAL spiritual successor and expansion on the gameboy mario tennis games. I normally don't like sports games but those were fun to me. @darthstuey You and I appear to have the same amount of games in our backlog, along with other games we want to play now. It is exciting to have so many great games to eventually get to, but depressing at the same time knowing how we may never get there lol. @darthstuey Sounds like you're in deeper than I am. Good luck!